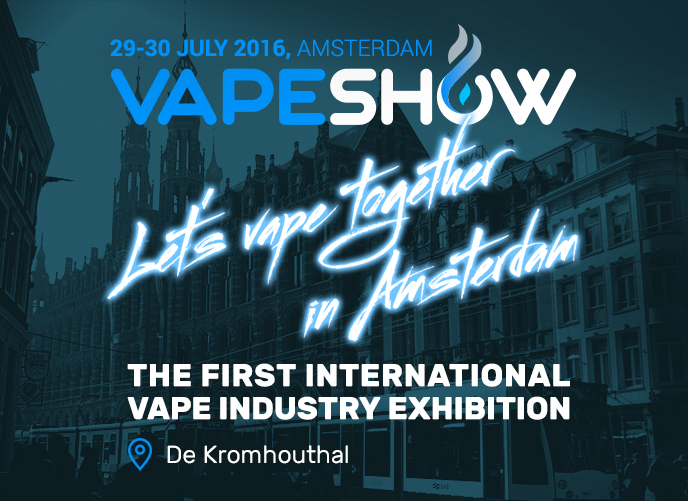 VapeShow Amsterdam – the first international vape industry exhibition will take place in Amsterdam on 29-30 July 2016. Vapexpo is a public event to provide consumers with a first class opportunity to sample and purchase Electronic Cigarettes, Vaporizers, and premium E-Liquids! VapeShow Amsterdam is an electronic cigarette show where vendors from all around the world showcase their Newest and Most Popular product lines. Products ranging from Vaporizers, Tanks & Accessories to hand crafted E-Liquid’s and more.